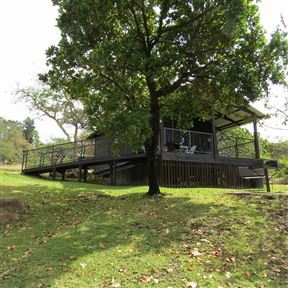 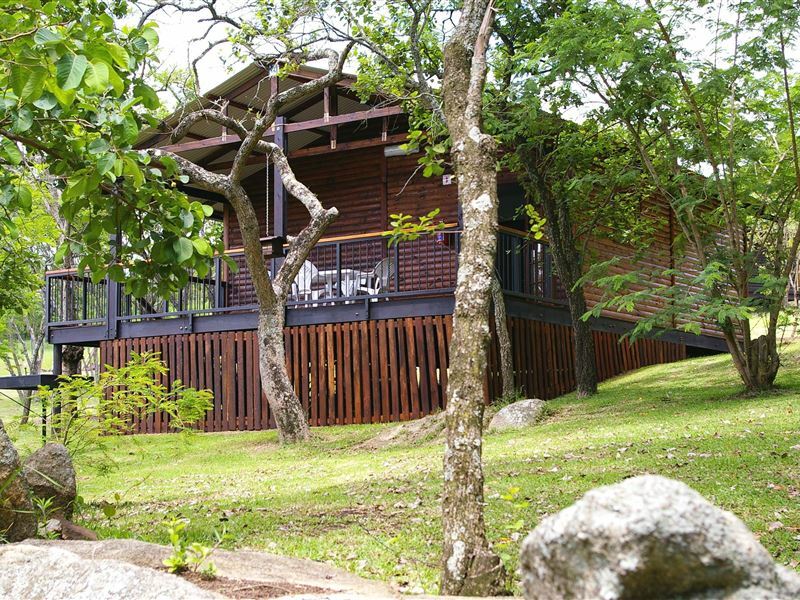 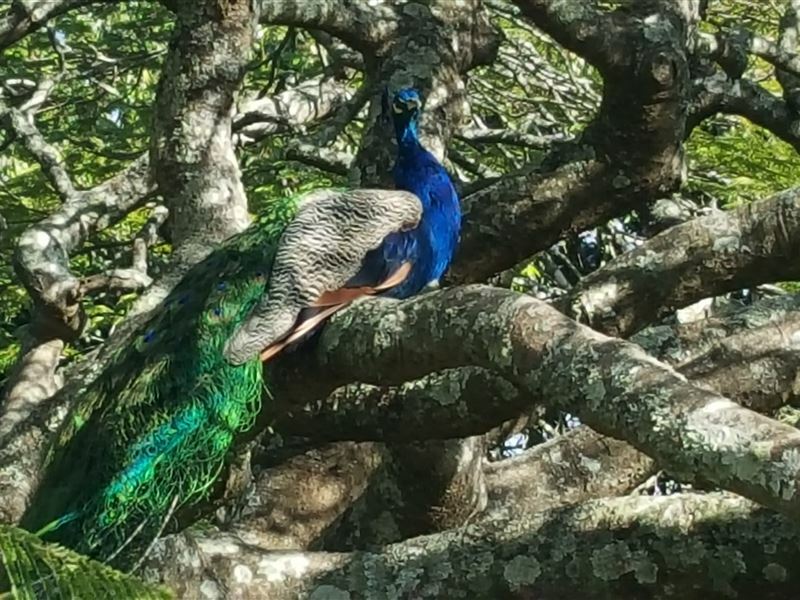 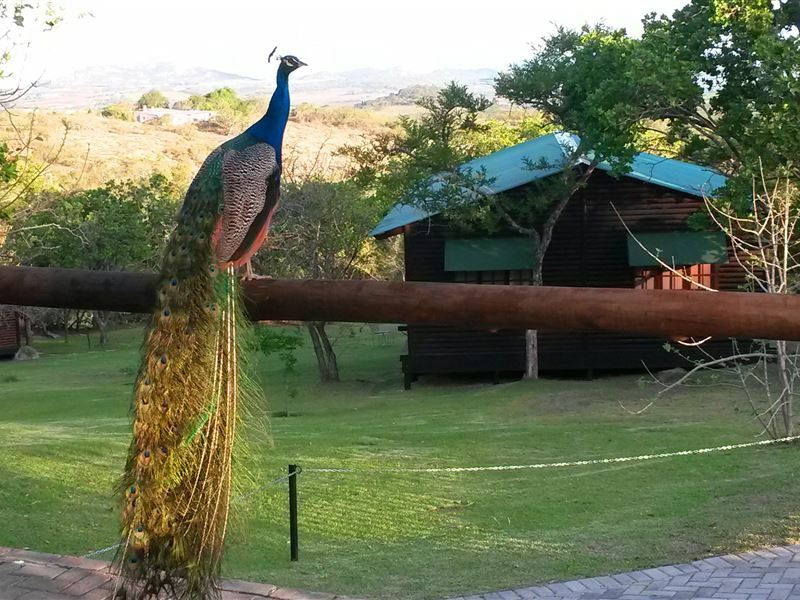 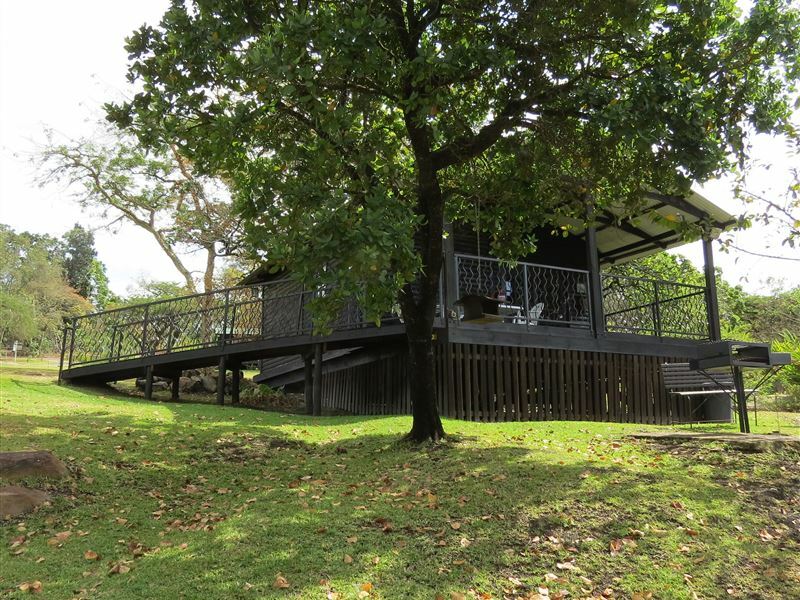 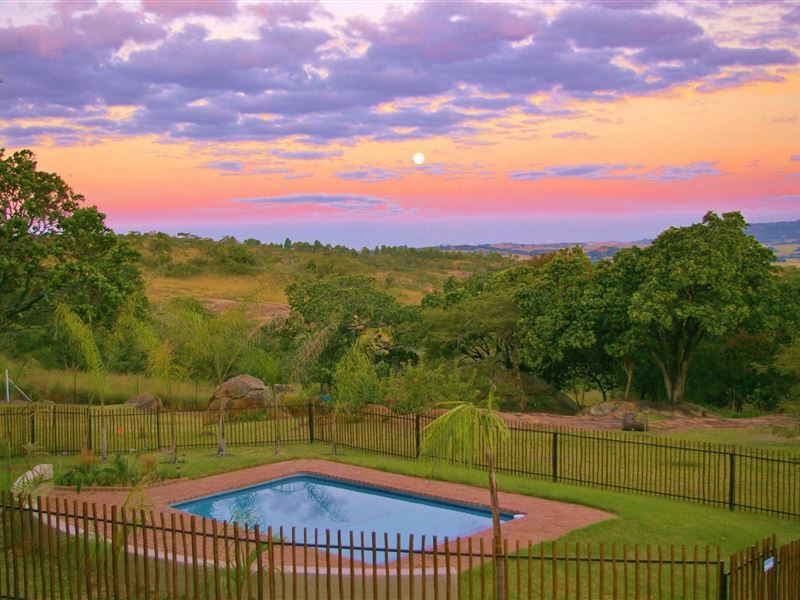 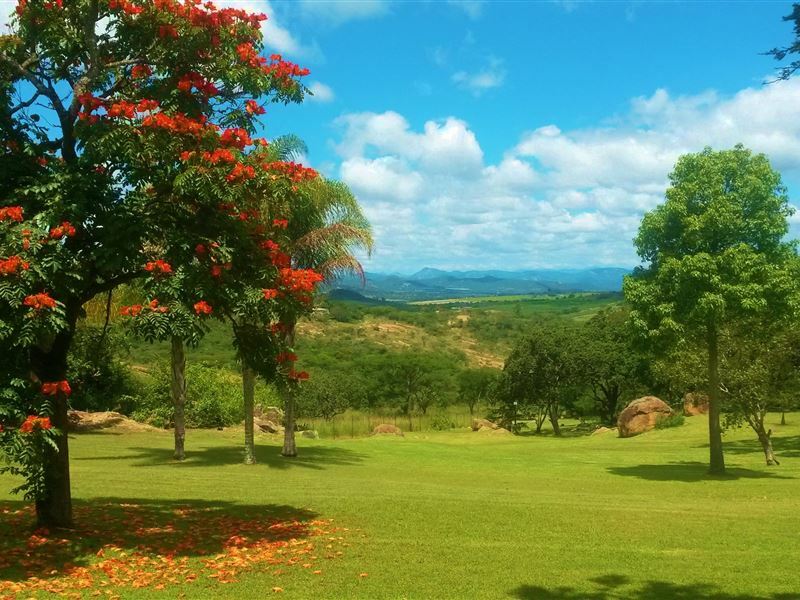 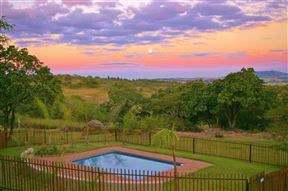 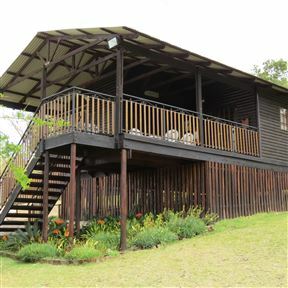 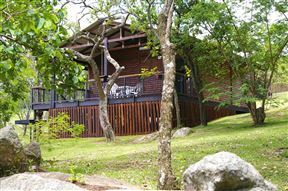 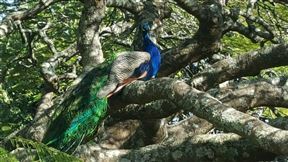 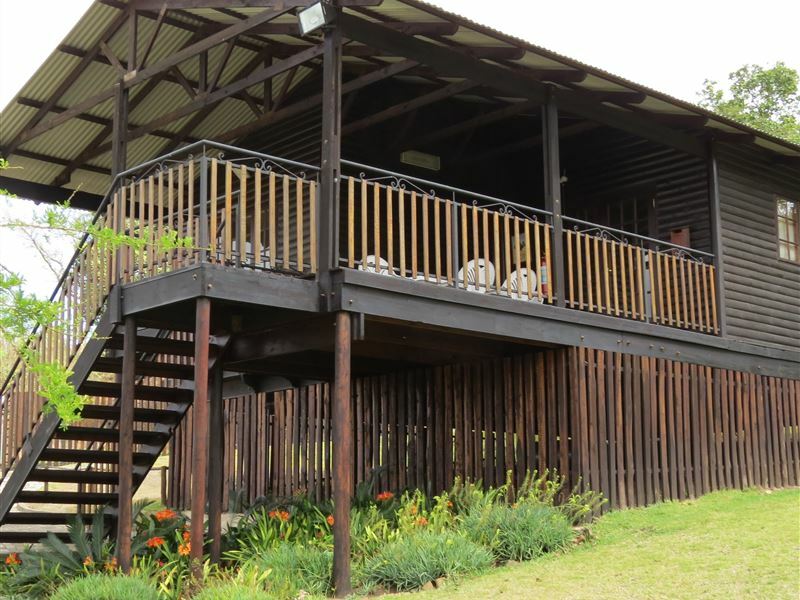 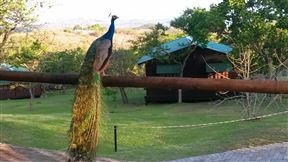 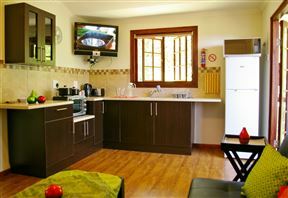 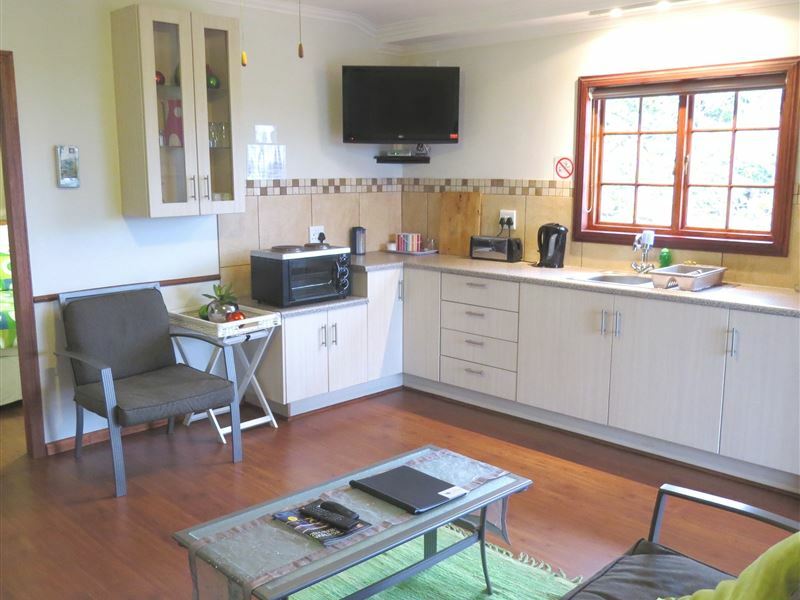 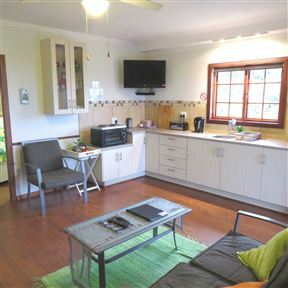 This is a beautifully furnished cabin with three bedrooms, large patio with beautiful views, and private braai area. 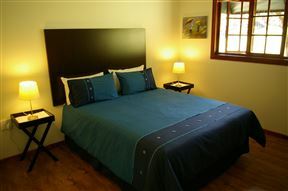 Accommodating up to six guests. 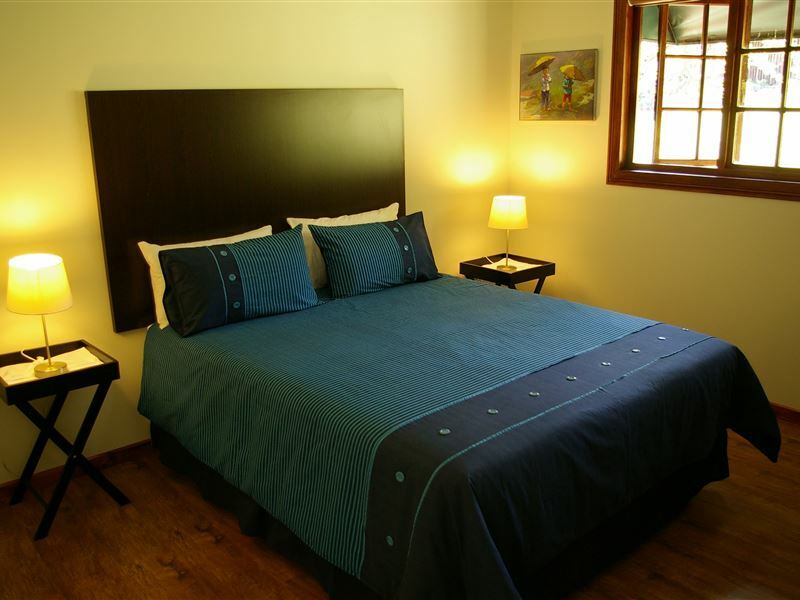 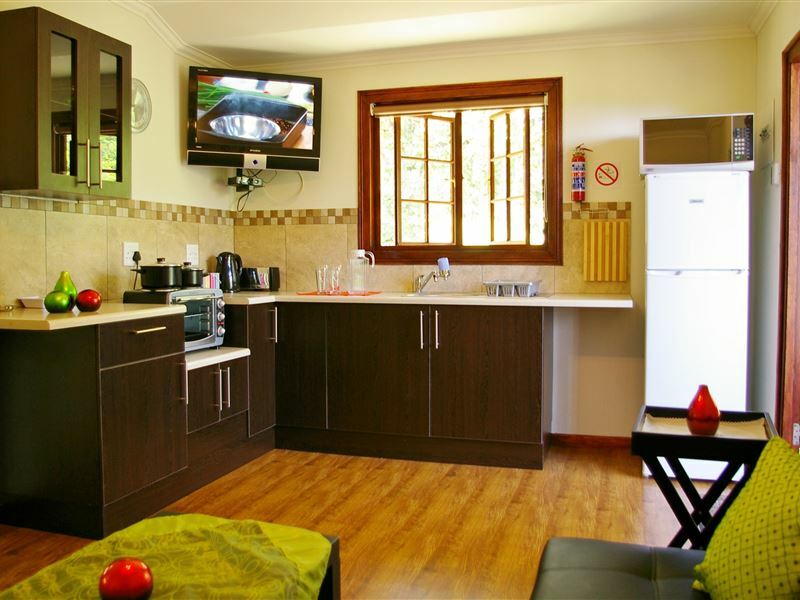 This four-sleeper, two bedroom chalet offers a main bedroom with double bed plus second bedroom with two single beds; well-equipped kitchen, lounge and bathroom, and large patio with a lovely setting with private braai facilities.